Orpington Liberal Club is a small and friendly social club in Orpington town centre, facing Tesco just up from the war memorial and near to the station. We have a strong reputation for real ale, cider and perry and have multiple awards from CAMRA having been local and regional Club of the Year and a National Club of the Year finalist. We have live music from Orpington Folk and Blues and special music events. We host Orpington Bridge Club on Monday and Thursday evenings. We use MailChimp to communicate with you via email. By clicking on the button below you agree to your data being transferred to our Mailchimp account. You can unsubscribe by clicking the Unsubscribe link at the footer of any email you receive from us. We have a team in the Kent Association for the Blind Orpington and Sevenoaks Darts League. 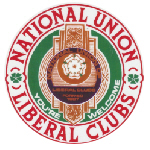 We are members of the National Union of Liberal Clubs.